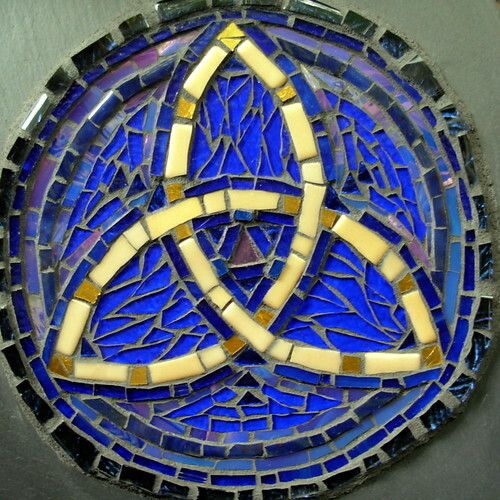 Triquetra Mosaic in Blue and Gold by Margaret Almon. Marking the intersection of 3 circles, symbol of the trinity in the Celtic Christian Church, but predating Christianity. Cobalt and midnight blue rock! Cool! Enjoyed knowing the history, too! I am a lover of etymology! 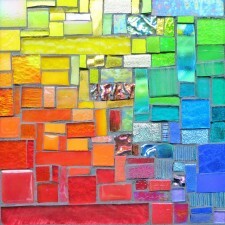 Hey Margaret, love the trinity mosaic! Happy WW! Thank you Mary! Thank you for sharing all your photo tips on your blog.